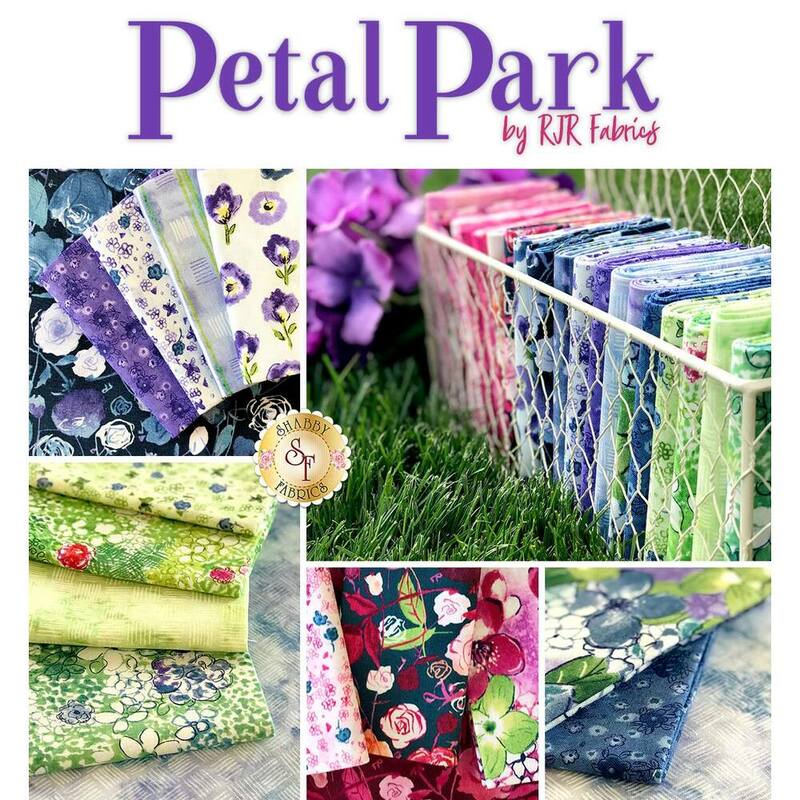 Petal Park is a fresh floral collection from RJR Fabrics. 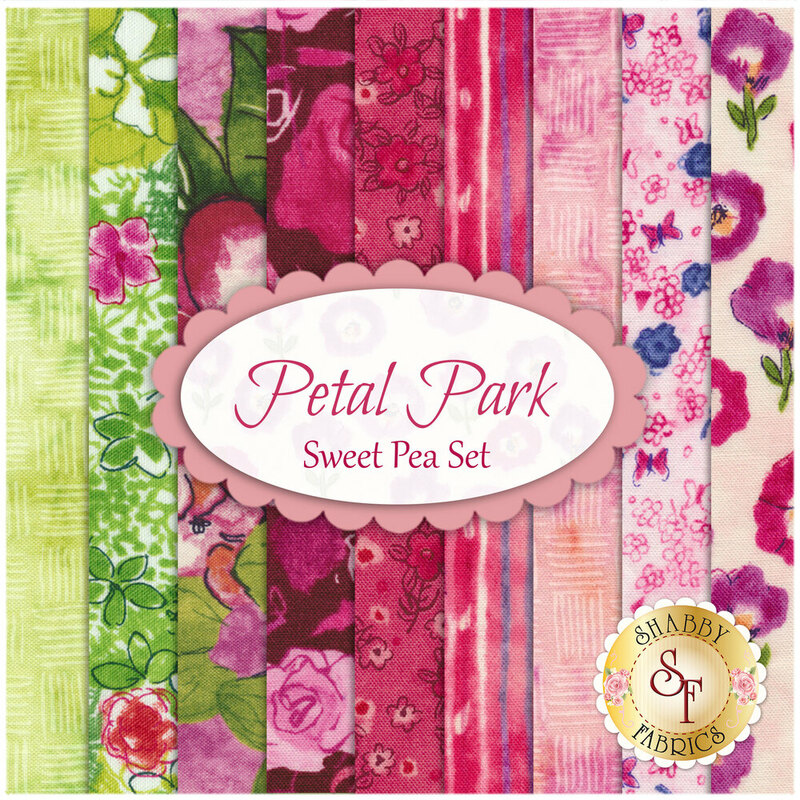 Create a beautiful quilt from this lovely fat quarter set! 100% Cotton. This set contains 9 fat quarters, each measuring approximately 18" x 21".